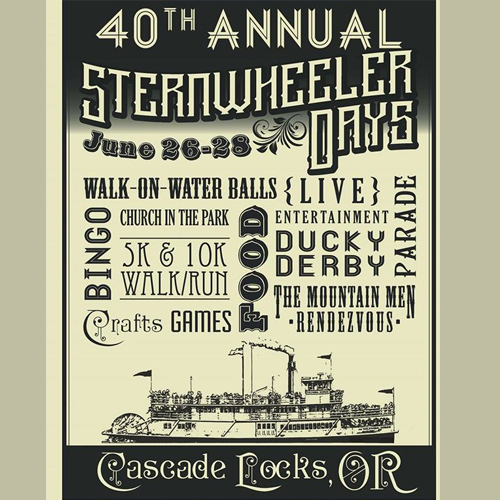 Join Cascade Locks along the Columbia River Gorge in their 40th Annual Sternwheeler Days Celebration. This 3-day event starts Friday, June 27 through Sunday, June 29th and is jam packed with family fun. All activities will take place at the Marine Park in Cascade Locks unless otherwise noted, check out the Sternwheeler Days Schedule below.